Head Back To School in style with these unique and fun Hunger Games school supplies! Let's face it. School is a competition which usually requires a certain degree of survival skills. So, why not arm yourself with Hunger Games school supplies and be ready to compete and WIN? 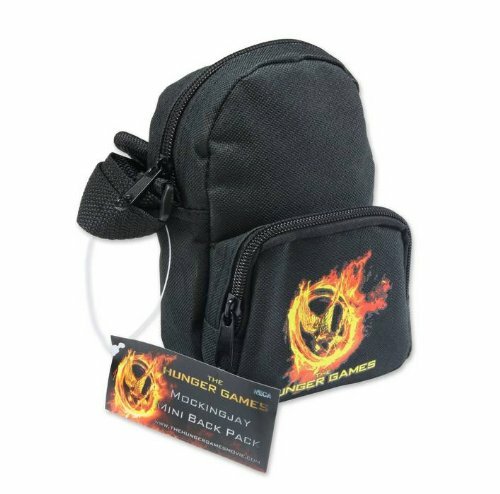 This page features a large selection of newly released Hunger Games school supplies. Some of the school supplies include backpacks, messenger bags, notebooks, folders, pencils, pencil cases, pens, water bottles, locker magnets and journals. Start the new school year ready to go by sporting supplies from your favorite book series and movie. Hosting a Hunger Games Party? Please visit my Hunger Games Party Supplies page for partyware, party invitations, unique favors, cake & cupcake supplies, decorations and party games. Stock up on Hunger Games pencils for the school year. These Hunger Games pencils are sold in sets of 6 and feature great designs including the Mockingjay logo, flames and Hunger Games title. Now that you have the pencils, you will need a place to store them, right? We'll, don't fret because we have you covered. There are two Hunger Games pencil cases to choose from. Both black and orange canvas pencil cases have the Mockingjay logo. There is also a nice assortment of Hunger Games bookmarks for your school supplies. The bookmarks feature images of Katniss, Peeta, Gale, the flaming Mockingjay and a movie bookmark with Katniss & Peeta. There are also magnetic Hunger Games bookmarks available. 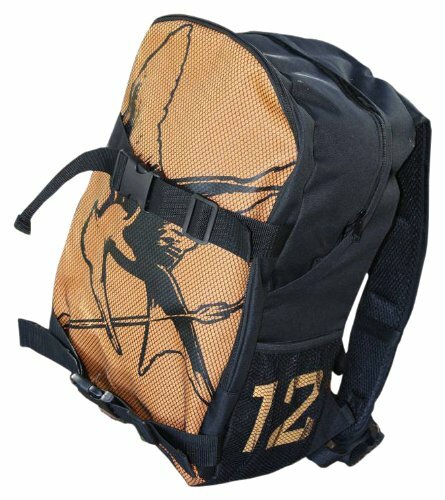 The Hunger Games Movie Backpack "Double Buckle"
Fabric backpack featuring the Mockingjay and District 12 logos. 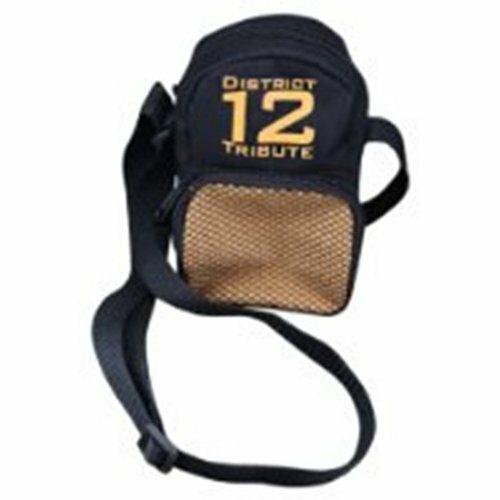 This Hunger Games District 12 backpack will be great to transport your supplies to and from school. 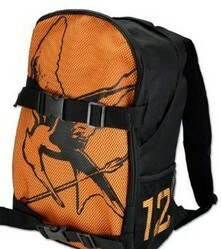 The signature orange and black school backpack features the mockingjay and District 12 logos. The fabric backpack has plastic buckles and metal zippers. This backpack is selling out fast, so reverse yours before they are all gone! 100% cotton canvas Hunger Games messenger bags. These Hunger Games messenger bags will send you to school in style! Each messenger bag is 100% cotton canvas material and measures 16" W x 11 1/2" H x 4 3/4" D. The bags feature an adjustable shoulder strap, large front flap with magnetic snap and side & zipped exterior, antique brass slider & D-ring and interior pockets. Some of the Hunger Games designs include mockingjay, "May The Odds Be Ever In Your Favor", Team Katniss, Team Peeta, District 12 Tribute, Parachute with Bread, "The Girl Who Was On Fire" and more. The Hunger Games lunch box and thermos set would make a great additon to your school supplies. Both lunch accessories feature the Hunger Games flaming mockingjay in an orange and black motif. There are Hunger Games notebooks and folders available for your school year. Both of these school supplies feature the flaming Mockingjay logo. 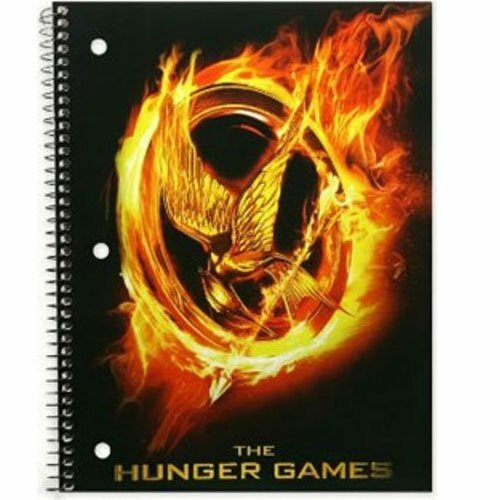 The Hunger Games Flaming Mockingjay Notebook measures 8 1/4" x 11". 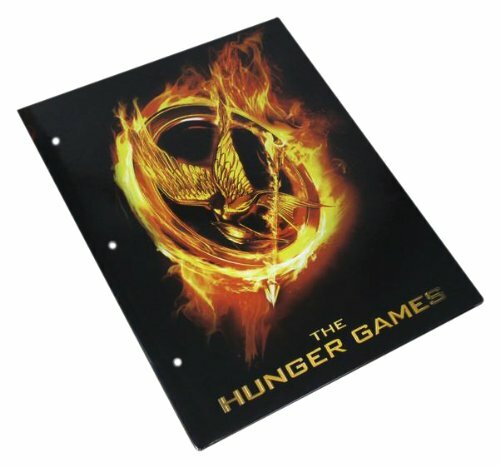 The Hunger Games folder contains a 3 ring hole punch and would be perfect for your important school papers. This folder and notebook would make a great addition to your school supplies. Enjoy cold and refreshing water at school with these unique Hunger Games Sigg water bottles. Kids love bringing cold water to school everyday. Water is healthy and refreshing. Bringing your own water to school is a great way to stay hydrated and much better than using the warm school water fountains. The Hunger Games water bottles available are custom designed Sigg water bottles. Sigg water bottles are BPA-free and are constructed of ultra-light yet crack resistant alumium. The inside of the water bottle is made of a non-toxic epoxy resin that exceeds FDA leaching requirements. There are many Hunger Games Sigg water bottles to choose from. Take notes and decorate your locker with these cool Hunger Games school accessories. Embellish your school backpack with this wonderful bag clip. The Hunger Games Movie Bag Clip "Coal Mining"
Everything you will need to decorate your bedroom in Hunger Games style. There is a nice selection of Hunger Games room decor to please any fan of this book series/movie. OMG I LOVE THE HUNGER GAMES!!!! I I WANT ALL OF THIS STUFF AO BAD! The Hunger Games Movie Pencil Case Canvas "Mockingay Pin Ver2"
Vampires. Ghosts. Devils. Supernatural Powers. This page features a great selection of wonderfully creepy books for tween girls age 8-12.